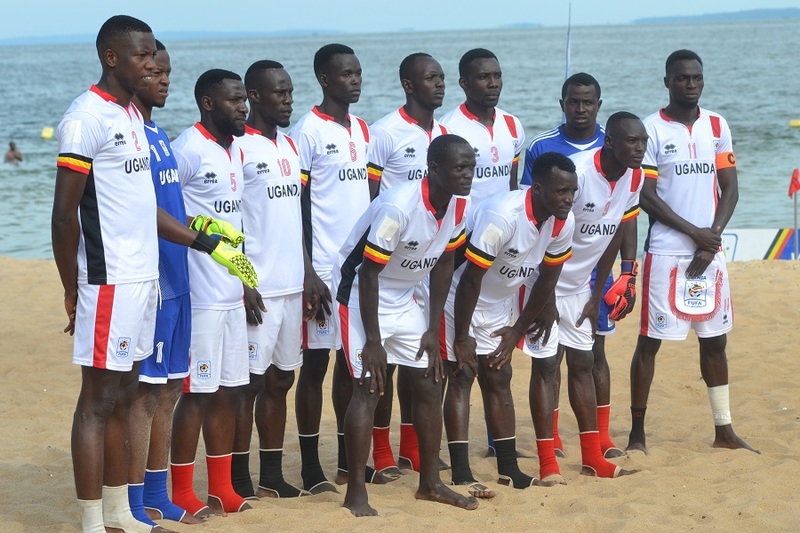 ABIDJAN – The Uganda National Beach Soccer team, Sand Cranes will be out to overturn a first leg deficit when they take on Ivory Coast in Abidjan on Friday afternoon. The Sand Cranes lost 3-1 at Speneh Beach-Entebbe in the first leg of the 2018 AFCON Beach Soccer qualifiers and will be hoping for better luck this time round. They will however have to do without the services of skipper, Somoka Roch who sustained a serious injury on Tuesday, a day before the team traveled to Ivory Coast. Salim Muwonge, the Sand head coach is confident they will win the tie despite the playing conditions being different from that in Uganda. “Thank God all the players are ok going into the game, said Muwonge after Thursday’s training session. “The sand here is lighter than that in Uganda but after training on it a couple of times, am confident we will get the job done. Uganda is seeking to be part of the eight teams that will feature in the finals’ tournament in Egypt later this year. Host Egypt, Libya, Morocco, Senegal, Nigeria and Tanzania are the six teams that have already sealed their participation at the continental showpiece. The other teams that are still fighting for a slot include Madagascar and Mozambique who play their return leg of the qualifiers on Saturday. Madagascar defeated Mozambique 5-4 in the first leg played in Maputo on the 9th of this month.